Found this Hard Case Crime paperback used at a great used bookstore in Seattle that the Lantzvillager had sussed out. It's the story of Cay Morgan, beautiful but hardened jewel smuggler who is on the path of revenge. In a deal gone sour 5 years ago, a mysterious criminal mastermind known only as "The Trader" had caught her and branded her forehead with a big "T". At the start of the book, she caught wind that he was going to be in Mazatlan, Mexico doing a deal and she heads there to find and kill him. She (and the reader) soon find out that there is a lot going on in and around this Mexican town. As she digs deeper, she meets a rich range of sleazy characters. The plot is complicated, but the narrative is driven straight by Cay's intense personality and desire for revenge. She really is a great character, tough and ruthless, but conflicted and unhappy. She uses all her feminine wiles to achieve her goals, but she is never hesitant to throw down. There are some great fight scenes. 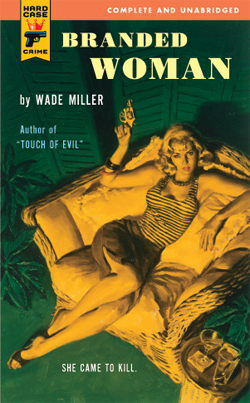 Wade Miller is the pseudonym for a couple and the passages that describe Cay's outfits and the effect she intends with them seem to come from a woman's perspective. Revealing stuff! The descriptions of the hot, seaside town and its lively culture are also really well done. You get a strong sense of being there. This is the same couple that wrote Touch of Evil, a movie that captures that feeling as well. An excellent pulp. Quite interesting! It's not tons of data, but I think it's pretty safe to say that I have consistently experienced a big dropoff in the spring. I wonder why? 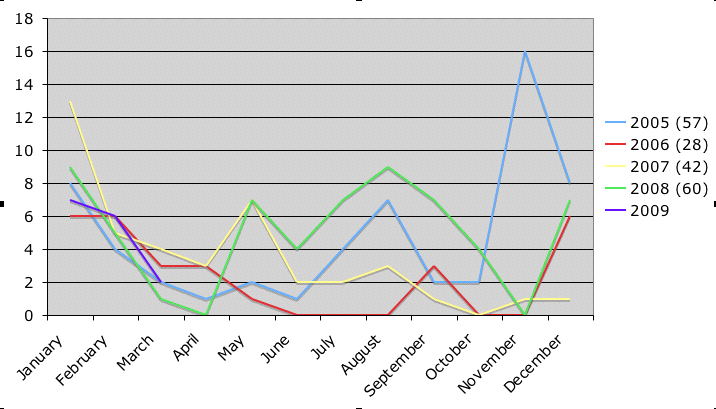 There is a similar trend in the fall as well, with a surge at the end of the year. I think the one big lesson I can take out of this is to push hard to be very consistent across the summer. Those dropoffs in spring and fall seem to be some kind of profound psychological issues that will take a lot of deep therapy to overcome and thus not so easy to change. But if you look at the years where I did really well (2005 and 2008), I was strong throughout the summer. The year where I blew it, I had a very unproductive summer. I need to go back and figure out what happened that summer. It seems that the summer is a period where I have some control over my character and thus the outcome of my 50-book challenge. This is like the Moneyball of 50 books! Improving performance through advanced statistical analysis. Holy crap! I finished a book! I don't know what happens to me, but I've learned one thing, I can't count on periods of great reading productivity to continue indefinitely. I am also starting to suspect that if I went back and looked at my reading patterns, they would be quite similar year after year. I just lost the drive all of a sudden. I've been pretty productive in other areas of my life. I just didn't feel like I could get caught into a narrative. I guess that's as good a time as any to read a detailed stufy of four specific battles of the Boer War. I found this book for a quarter and the cover and the name of the author just forced me to buy it. That is a very cool looking paperback and you can hear the title and the author's name being pronounced in a super pompous British accent. It's actually part of a penguin series on military history that looks like it has some other interesting titles in it. I knew nothing about the Boer war beyond that some characters in Sherlock Holmes stories had had experiences there. I realize now it is a very significant war on many levels, marking the period between traditional "gentleman's" warfare of the 19th century and the mechanicstic, modern warfare of the 20th. It also is a significant part of the history of South Africa and laid the groundwork for a lot of the ferocity and culture of violence that is still there today. Battles of the Boer War concentrates on 4 battles, early ones where the British first encountered the Afrikaaner guerrilla tactics and suffered setbacks that cost them a lot of men and resources and a great uproar on the home front. A long chapter is devoted to each battle and Pemberton goes into some detail. His tactical thesis is to demonstrate which leaders were at fault for their various blunders. Most of the military mistakes he blames on the character of the individual leaders. Ultimately, he argues that the real blame for the losses is to be laid at the feet of the British government and the lack of will there to engage in war. He traces this back to Britain's self-image as a benevolent colonial power. Not an uncommon thesis from someone writing not so long after World War II, but interesting to see it applied to this period of British history. I am usually very impatient with detailed military histories. I'm a visual thinker and need to constantly refer to the map. I'd love to read books like this on some future version of the kindle, where you would have animated maps showing the progress of the battle as you read the text. Despite my lack of attention span, I was able to follow the battles and got quite into it. It was very interesting to learn of the Afrikaaner tactics and skill. They were a purely voluntary organization, made up of the men from the regional farms and knew the veldt profoundly. They also were expert marksmen with rifles that had longer ranges than had ever been used in a military engagement. They were also not afraid to retreat, a difficult tactic for Britain's disciplined formations. So the Afrikaaners would hide out in small groups, pick off the approaching soldiers and then run away. It was early guerilla warfare. 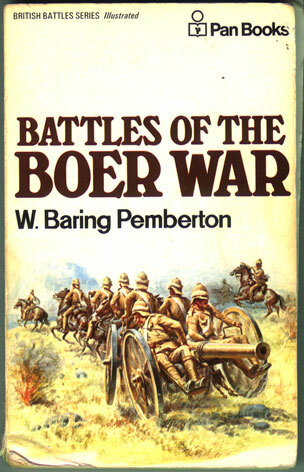 I'd love to explore the Boer War in a bit more historical depth. It was where Winston Churchill made his name. Though the British won, there was extended guerilla warfare and eventually concentration camps and some serious atrocities. All of it was spurred by the discovery of gold and diamonds in the interior parts of South Africa where the British had previously left the Dutch settlers alone. Lots of interesting stuff to discover there. I'm very glad I picked this book up.